Photos can be displayed in all sorts of places; on a wall, on your desk or in a Picasa Web Album. We recently announced yet another place — the Google homepage, where you can use your favorite photos or images as a background. If you store your photos in Picasa Web Albums, you can choose a photo right from your existing albums. There is also the option to upload a photo from your computer or choose one from a public gallery of featured photos hosted by Picasa. 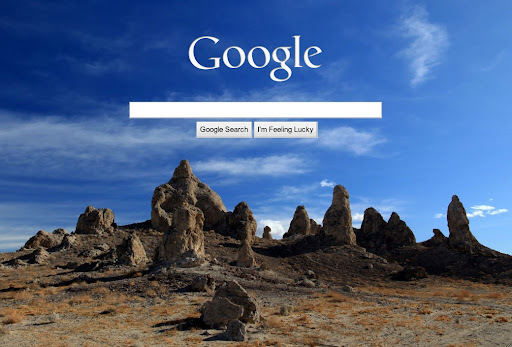 When you visit google.com, you’ll see a link in the lower left-hand corner inviting you to "Change background image." For those of you outside of the U.S. we will begin rolling this out to you within the next few days. If you don’t see the link yet, please check back soon. Once you’ve customized your homepage with a fun personal photo we’d love to see what it looks like. Tweet a picture of your page with the hashtag #myGooglepage to share it with us. Have fun customizing your new photo frame!